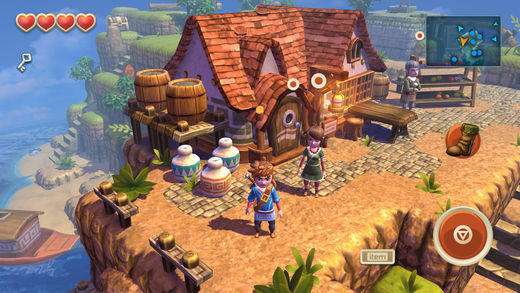 Oceanhorn: Monster of Unhcharted Seas is an enormously fun action adventure RPG, set in a colourful and sunny 3D world. The atmosphere of its gameworld really made the game for me. You play as a young boy who has to leave his island home to search for his lost father and defeat a terrible monster. The gameplay is appealing and challenging without being impossible. It has been compared to Zelda, but is wonderful in its own right. And in exciting news, Oceanhorn 2 is apparently on the way.